Despite a hectic schedule, my motivation returned and I made a point to get outside more often. I spent some time climbing in Boulder Canyon and worked on some great little boulders I had somehow overlooked for the past year or two. I was impressed with the amount of fun climbing packed into the two chunks of granite that are the Hug boulder and the Authentic Battle Damage boulder. I spent some glorious days outside working on and finishing the lines on these boulders. It felt great to get back into the rhythm of climbing on rock and it was a ton of fun to spend some time with good friends alongside the creek. While I found myself outside more, I didn’t really cut back much on gym time, which made for a lot of climbing. In April, I mixed it up a bit and decided to compete in the SCS Nationals at Movement in Boulder. Much to my surprise, I was able to make finals. It was a very fun event and a nice break from my routine. After having spent a little time outside, I felt that I was getting my rock sense back. I took the opportunity to take a (very) short weekend trip to Joe’s Valley with Chris and Meagan Martin. 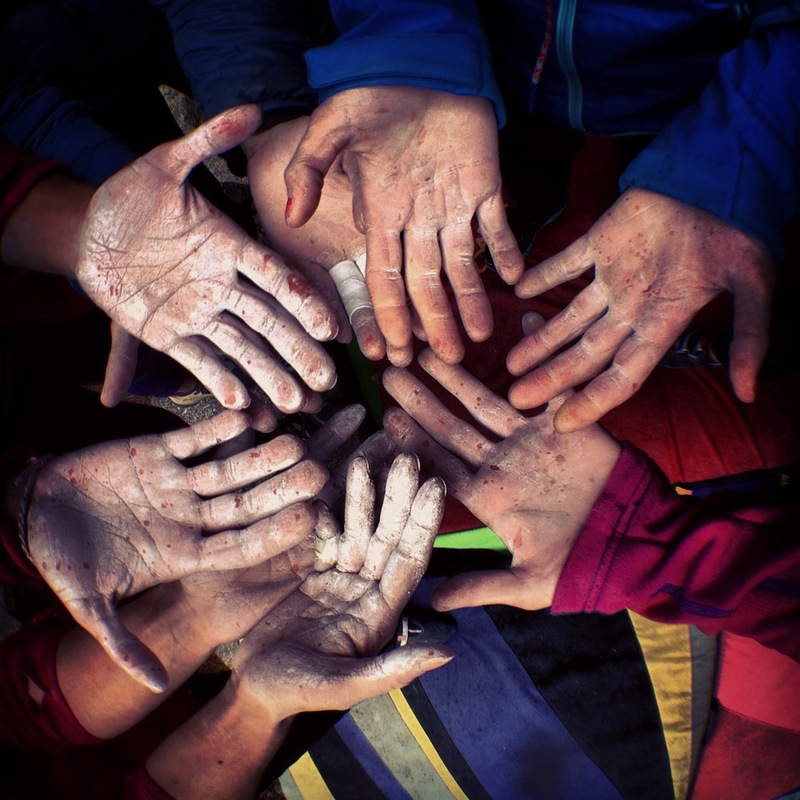 We met up with many other friends there for a few days of amazing sandstone climbing. Joe’s Valley is one of my favorite places, and it had been far too long since my last visit. I have an infatuation with sandstone, and the colors and features in Joe’s make it an exceptional representation of my favorite type of rock. Ever since visiting Joe’s for the first time more than 10 years ago, I have had my eye on what I think is one of the prettiest lines in the area: Beyond Life. I had tried the boulder briefly in the past, but had never gotten very far on it. This time, Beyond Life was first on the To Do list. Much to my surprise and great satisfaction, I was able to finish it on the first day of the weekend trip. It lived up to all the expectations I had for it, and it felt awesome to tick this off of my Lifetime List. While there, we also climbed on a few other fun boulders, including a great little tension boulder called Jigsaw, a huge dyno known as Fiery Furnace, and the Resident Evil boulder. While at that particular boulder, I took the opportunity to fondle the holds and test some of the moves on the one and only Black Lung. Needless to say, this is relatively high on my Lifetime List and I wouldn’t mind returning to it in the future when conditions are better and I am stronger. If that boulder isn’t motivation to get better, I don’t know what could be. Only a few weekends passed before I was antsy to travel again, so I headed to visit Chris in LA for a weekend preview of the Sender One gym. Chris has been working on this project for almost two years now, and I was excited to see how it was all coming together. The facility is impressive, to say the least, and I was especially excited about the bouldering terrain (me, excited about bouldering?!? Who would have thought). Although the walls weren’t finished, I think there is going to be a great variety of terrain. And while I’m not known to tie into a rope often, the huge comp wall did look enticing, even in its incomplete state. The gym is slated to be opened sometime in June. 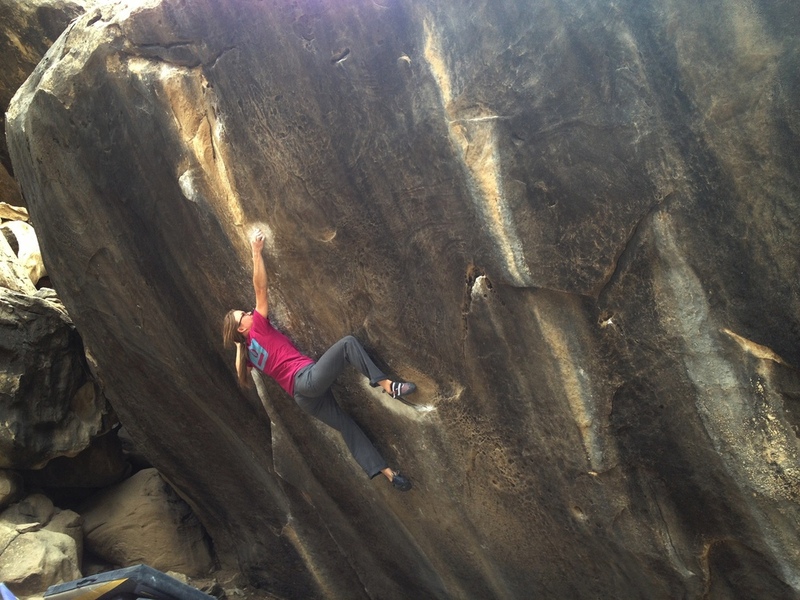 It’s been a whirlwind of a few months, full of learning and crazy Colorado weather and a great deal of climbing. Now, with my online class complete and a few months of this job under my belt, I am hoping to settle into my schedule. Summer is coming, and I’m very much looking forward to many short trips. The Dominion River Rock competition is next weekend in Virginia, then it’s on to Kentucky for a wedding, followed by the Vail World Cup, another visit to LA, and a short jaunt to Alaska.